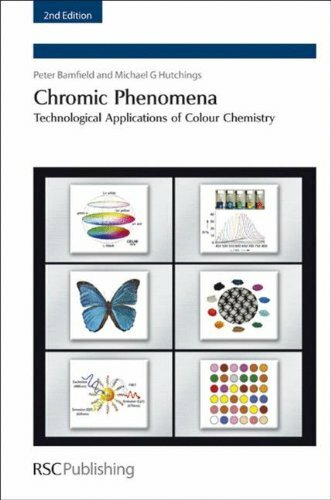 Chromic Phenomena: 9781847558688 Hardcover - LIMEROCK BOOKS INC.
Chromic phenomena, or those produced by materials which exhibit colour in response to a chemical or physical stimulus, have increasingly been at the heart of 'high-tec' developments in a variety of fields in the last decade. Many of the newer technologies, which are at the cutting edge of research, are multi-disciplinary, involving researchers from areas as diverse as physics, biology, materials science and electronic engineering. Chromic Phenomena covers five main areas: Colour change materials, such as photochromic, thermochromic and electrochromic materials; Materials which absorb and reflect light - the classical dyes and pigments; Luminescent phenomena, including phosphorescence, fluorescence and electroluminescence; Materials which absorb light and transfer energy, eg photosensitisers, infra-red absorbers and laser-addressable compounds; Phenomena involving the manipulation of light by chemicals, such as liquid crystals, lustre pigments, optoelectronics and photonics Providing an entry point both for new researchers and for established ones, this book, with its emphasis on the technological applications of these chromic phenomena, develops and investigates new applications for colour chemistry. It will be of interest to industrialists and professionals in the biological, medicinal, electronics/telecommunications and colorant industries, as well as academics in these fields.